Kevin September 13, 2016 Website Business No Comments on Responsive Website: What does that Mean?? For those who are building their own online business, having a website that generates maximum sales potential is an obvious goal. Achieving that goal however requires an approach to web design that incorporates a number of factors. Today, people surf the web on a number of different devices from their home-based desktops to laptops, tablets, and smartphones. This means that for websites to deliver, they have to be easily seen on all types of devices without having to resize or change significantly the way they look. Enter the responsive website design concept which more designers are using to help online business owners. Put simply, it is an approach to web design that is directed to provide the optimal viewing experience for visitors. The emphasis is on simple reading and navigation while minimizing the resizing, scrolling and panning across a wide number of devices that range from desktops down to mobile phones. Responsive web design incorporates a number of features that use a number of elements that come together for form a singular, fluid website. This form of website design is one of the latest and thanks to new technologies, one of the most effective as well. Although the various concepts of this type of design had been floating around for years, it was Ethan Marcotte who is credited with coining the term “responsive web design”. His theory and creation of this type of design was used in his “Responsive Web Design” book in 2011 which was considered highly influential. Two years later, Mashable referred to the Year of the Responsive Web Design that encompassed 2013. This type of design was widely hailed as being a very cost-effective option for standard websites to adapt to mobile devices. 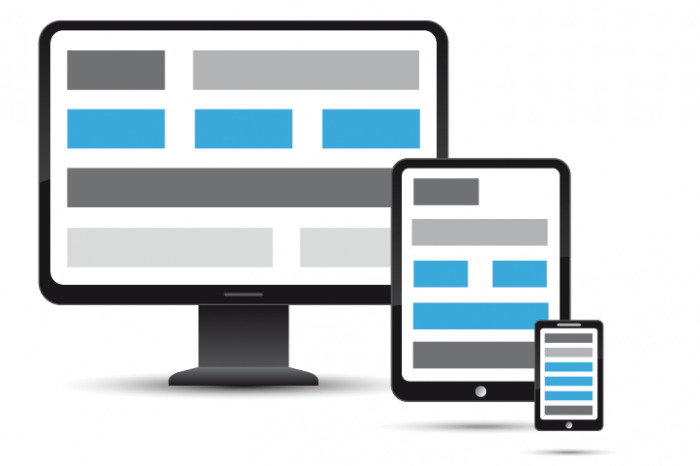 There are a number of elements that form the totality of responsive website design. Each of these elements makes up one part of the overall design that creates the ability to adapt to different screen sizes and memory capacities from desktops to mobile devices. Fluid Grid: This is a concept that uses percentages rather than fixed units such as points or pixels in determining the size of the elements on the page. In this manner, it is far easier to adapt different screen sizes to websites because they are valued in percentages. Flexible Images: Again, these are relative units so they will grow or shrink depending on the overall size of the screen in which they are displayed. There is a consistency to their display on similar size screens however. RESS: These are server sized components that are used with client-side ones as well such as media queries. The result is a faster loading site that can be accessed over cellular networks and deliver the usability and functionality of higher quality sites while avoiding many of the issues found in device-side only solutions. Media Queries: This allows the page to use different types of CSS rules that are based on the user device itself or more accurately, the width of the browser used on the device. There is little doubt that responsive web design will continue to dominate the current type of designs used to create websites around the world.